PAHOA: Dressed in heavy cotton, a helmet and respirator, Jessica Ball worked the night shift monitoring “fissure 8,” which has been spewing fountains of lava as high as a 15-story building from a slope on Hawaii’s Kilauea volcano. “The volcano is doing what it wants to. … We’re reminded what it’s like to deal with the force of nature,” said Ball, a geologist with the US Geological Survey. This is not a job for the faint-hearted. Geologists have died studying active volcanoes. David Alexander Johnston, a USGS volcanologist was killed by the 1980 eruption of Mount St. Helens in Washington state. In 1991, American volcanologist Harry Glicken and his French colleagues Katia and Maurice Krafft were killed while conducting avalanche research on Mount Unzen in Japan. 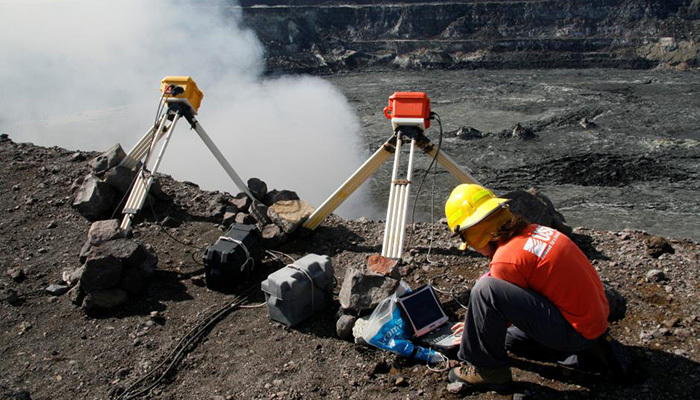 Ball and the USGS teams are studying how the magma – molten rock from the earth’s crust – tracks through a network of tubes under the volcano in what is known as the “Lower East Rift Zone,” before ripping open ground fissures and spouting fountains of lava. 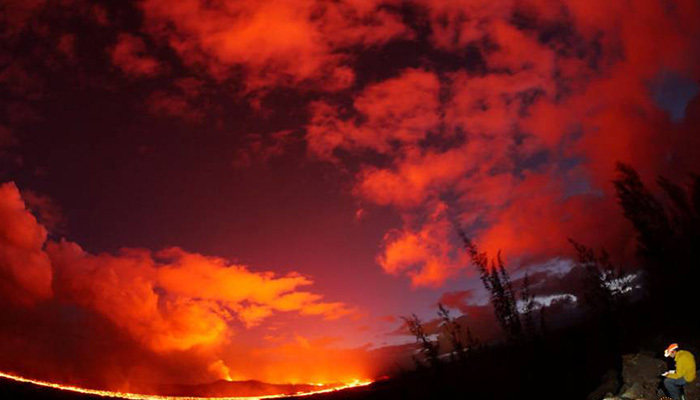 “They’re common for Kilauea on a geologic time scale, but in a human timescale it’s sort of a career event,” she said. The archives included photos, seismic records and samples, some 100 or more years old, Poland said. “These materials are invaluable to someone who says, ‘I have this new idea, and I want to test it using past data.’”Now the second-longest Kilauea eruption on record, surpassed only by one in 1955, this eruption offers far better research opportunities than previous events, Ball said.